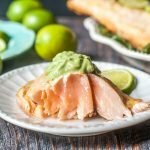 This lime margarita grilled salmon is a delicious and simple low carb dinner. 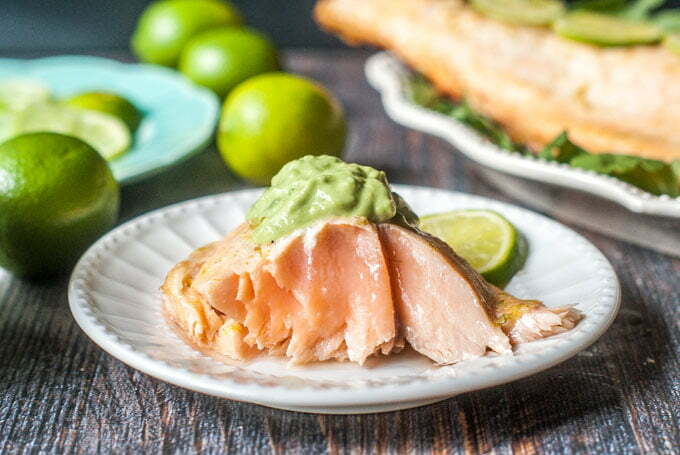 The garlicky avocado mayo goes perfectly with the tangy lime infused salmon and has only 1.5g net carbs per serving. This has been the summer of the margarita. My husband and I have been enjoying them all summer long. 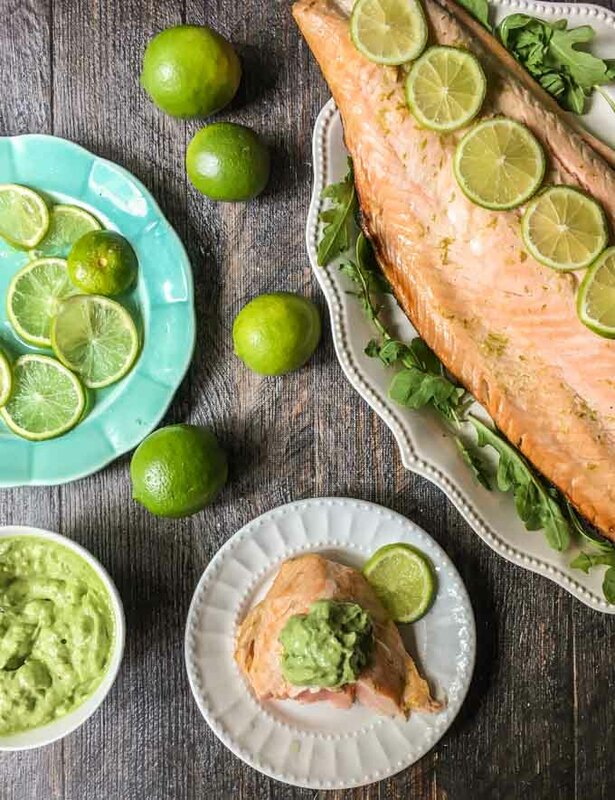 It started with my meyer lemon margarita at the beginning of summer and now it ends with this lime margarita grilled salmon. It has the bright tangy flavor of a lime margarita and it’s coupled with a creamy and garlicky avocado mayo for a tasty low carb dinner. 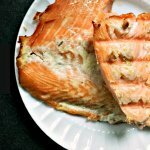 Just whip up the marinade and mayo and then grill the salmon. Easy, peasy, lemon squeezy. I was psyched to see that Aldi now has fresh fish! 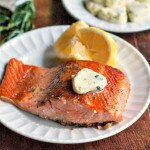 I spotted this whole salmon filet the other day and that got the wheels turning. Actually you can buy all the ingredients for this meal (except for the tequila) at Aldi so not only is quick and easy, it’s also rather inexpensive. 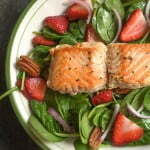 A whole fish like this can feed a lot of people and salmon is great for you. The marinade is just lime juice, lime zest, olive oil and tequila. Whisk those ingredients together, pour over the fish and let it sit for about 30 minutes. The avocado mayo is simple mashed avocado, mayo and garlic. For both the lime zest and garlic, I’ve come to love this microplane zester. It really does a nice job in just seconds. That was a quick recipe for you today. The following is the nutritional information based on a 2lb salmon filet and 1 tablespoon of the avocado mayo. Enjoy! Mix the lime zest, juice, tequila, olive oil and salt in a small bowl. Spray the skin side of the fish with cooking spray. Lay on a large platter or cookie sheet and cover with the marinade. Let sit for 30 minutes. Spray the grill with cooking spray and then heat to medium high. Cook skin side down and close the grill. 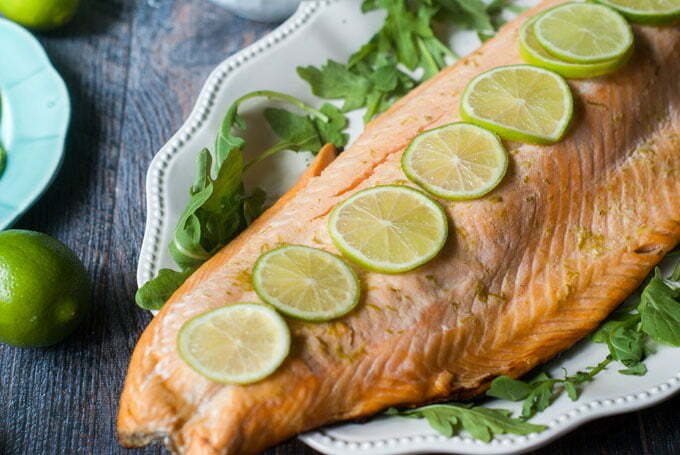 Cook for 10 - 15 minutes depending on the thickness of your fish. For the avocado mayo, mash the avocado, mayonnaise and garlic in a blender, food processor or just mix by hand. Serve along with the fish. 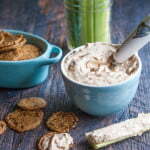 Serve with extra lime wedges or slices if you wish. Tequila marinade does sound like a cool idea. Can’t wait to try this to experience those flavors. Thanks for sharing this.